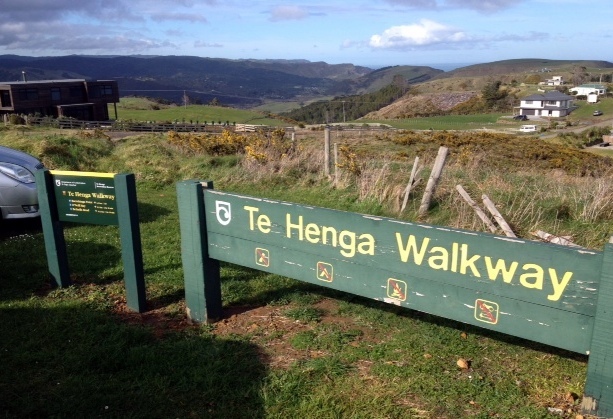 Trails: Goldie Bush Horsman Road car park – Mokoroa Falls Track or Mokoroa Falls Lookout Track – Mokoroa Falls – Mokoroa Stream Route or Track – Goldie Bush Walkway to Constable Road car park – Te Henga Walkway Constable Road car park – Te Henga Walkway – Te Henga Walkway Bethells Road car park. 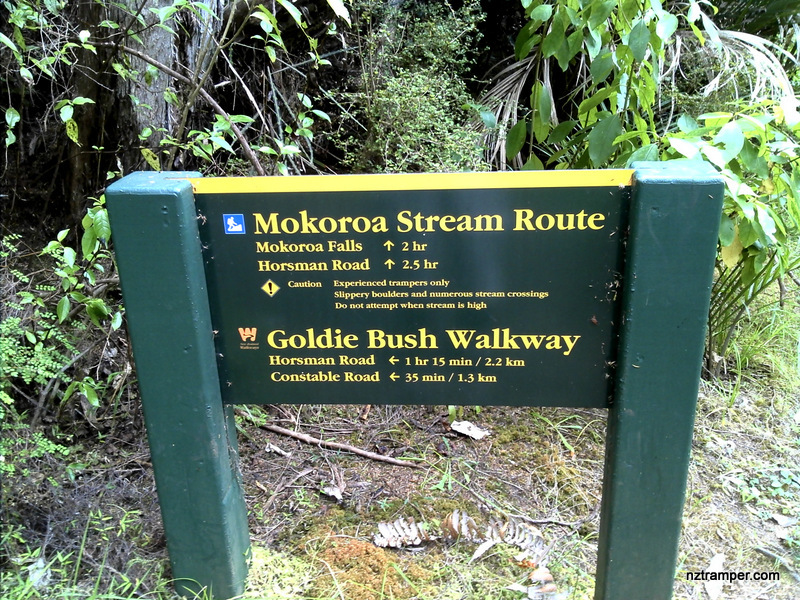 Caution: Always prepare get your boots wet when walk Mokoroa Stream Route. Car Park: Yes. 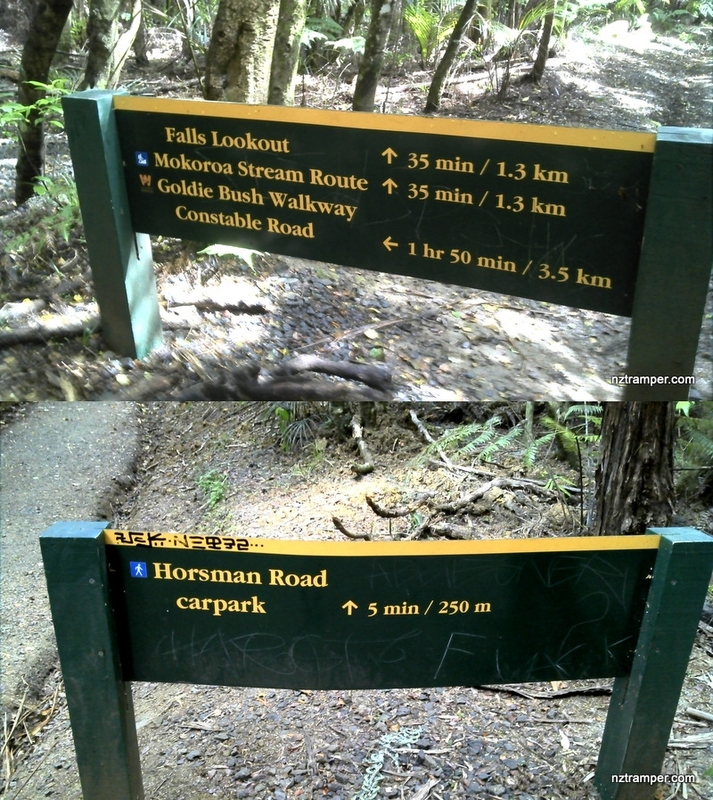 Horsman Road car park -36.846789,174.474017 and Bethells Road car park -36.884493,174.450510 both need 40 minutes drive from Auckland city center. Need car transfer. The “Total Time” is my time in November which includes morning tea time and lunch time. 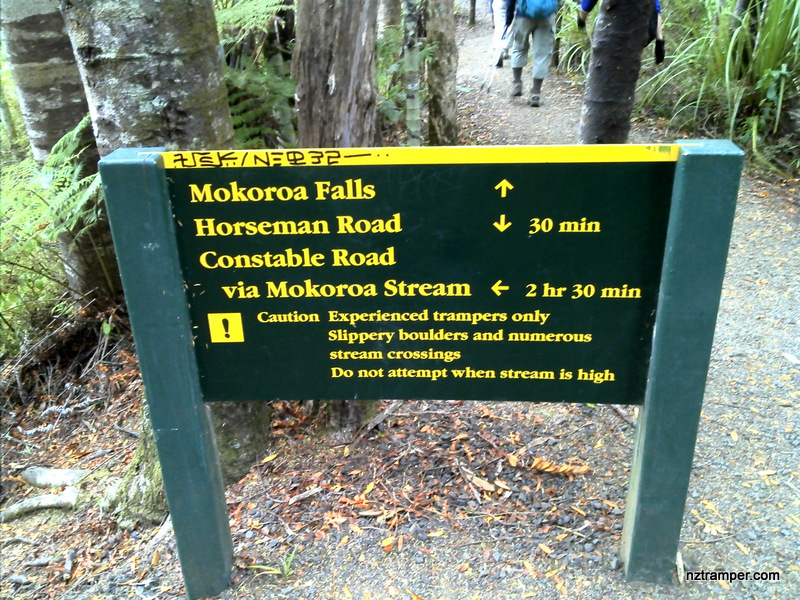 That day was fine and tracks were good but water level in Mokoroa Stream Route was high than usual. If you slow down to average 3.0 km/h plus 60 min stop then the total time will be around 6:15 hrs.